Seriously, kids are putting plants in their hair and ponies are replacing humans. It’s chaos! In the simplest of terms, chaos magic is more about experimentation and trying new things. Boldness has replaced blandness, and that’s left designers with a lot of room to… try things. But guess what? A lot of things have already been tried, and designers and trend-setters are truly scrambling to generate bold new ideas. It’s a bit of a trainwreck. But it’s one you need to see. 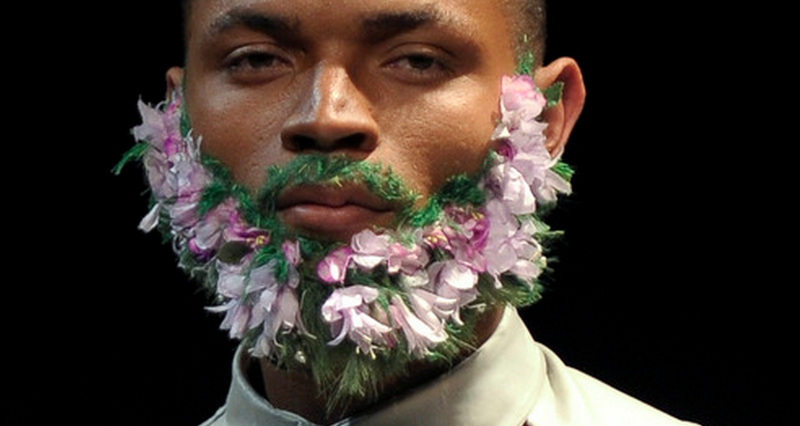 Here are 14 signs from 2015 that the fashion world has officially run out of ideas. At Dion Lee, the clothes weren't bad. The face bisectors, however, were. So not only are we supposed to dress like recycling bags, we're supposed to make it look like our face has been sliced in half? Wow, okay.